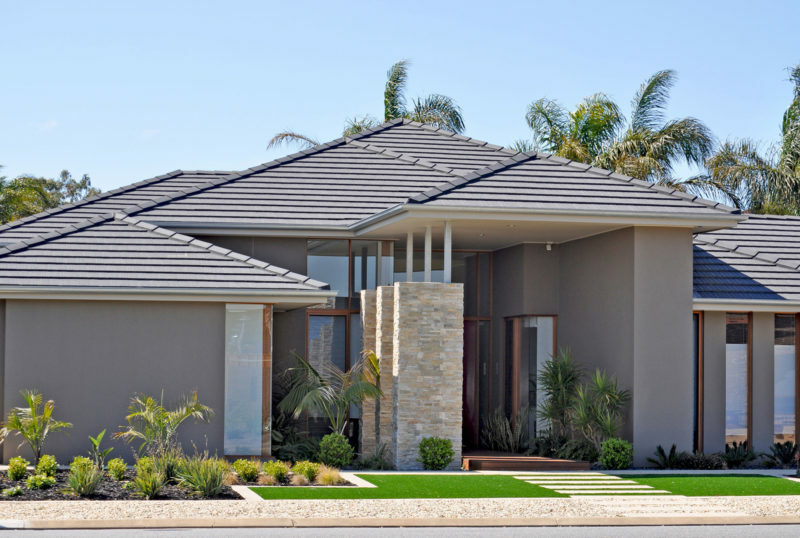 Your roof is not just there to protect you from the elements, it is also an aesthetic feature that adds value to your property. 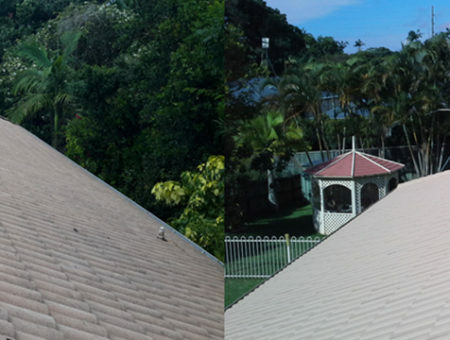 If you are in need of a roof revamp, Homestyle Roof Painters are the experts in roof restoration Moreton Bay residents have come to trust. Homestyle Roof Painters will take care of all your roofing needs. We offer a holistic approach to roof restorations so you can have peace of mind your roof will remain in tip-top condition for years to come. 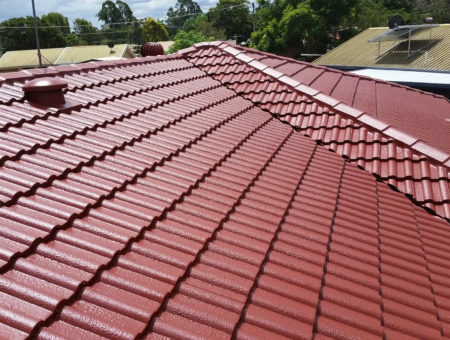 As our name suggests Homestyle Roof Painters offer top-notch roof painting for Colorbond roofing as we use the highest grade coatings and application methods available. 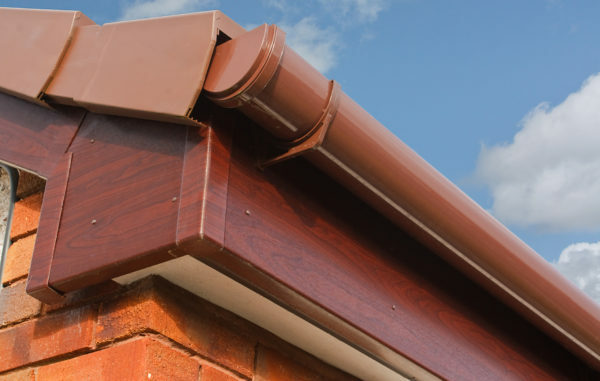 We will even paint your gutters, fascias and gables too. 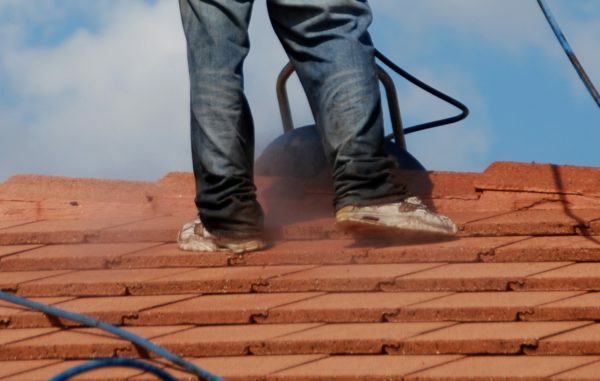 If your roof is still in good condition but has accumulated dirt and debris over time, we can clean it up for you and make it look like new again. Any sand, dust or leaf litter build will be efficiently power washed with Water-wise accredited equipment and techniques. We can also clean out clogged gutters. 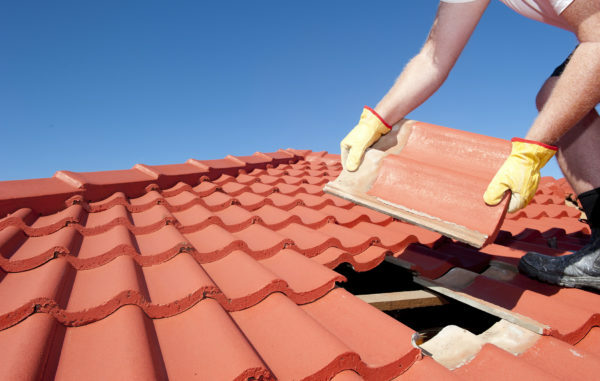 If you have any broken tiles or holes in your metal roof, we can repoint and repair any damage we come across. 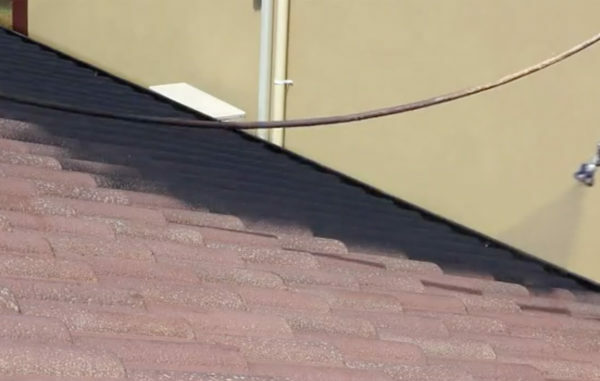 If your roof is leaking we offer a fast-response leak detection and roof repair service so you won’t have to deal with indoor puddles for long. As you can see, we cover any roof related issue you can think of so if you want the best roof restorations Moretown home owners can get, give us call for your free quote today. Over time, the condition of your roof will deteriorate and you may end up with broken tiles or holes that can further damage your home. Instead of entirely replacing your roof, you save a lot of money buy having us restore it to its former glory. 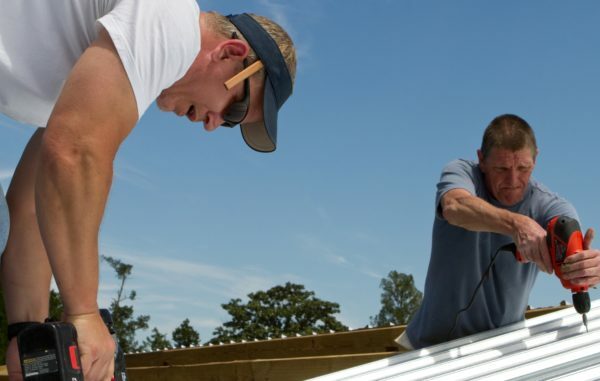 A full roof restoration in Moreton involves quite a few steps but we aim to have the whole process completed in two to three days at the most, and our professional team will ensure there is little to no disruption to your everyday life. So what does a full roof restoration involve? 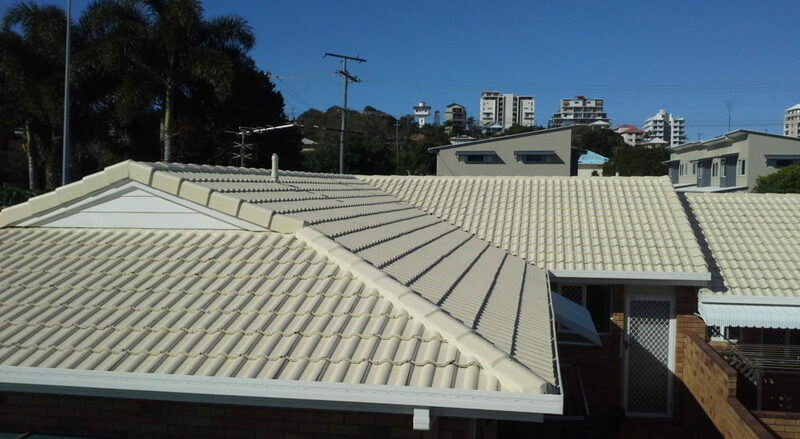 Now you know that we offer roof repair, roof cleaning and roof restoration Moreton Bay and that we can fulfil any of your roofing needs, give us a call for an obligation free quote today. These guys did a great job! From the very start they explained everything every step of the way. The finished product was outstanding. They only used the best quality roof paint as well! Thank you. I highly recommend them! I just had my tile roof repaired and painted. I can hardly believe the difference it has made to my house!! Somehow the whole house looks renewed. I am so happy with the entire experience, from my first contact with the company to the final result. I went to their home office near Caboolture to have a look at tile colours, because it is quite a big decision. The staff were all so helpful and reassuring. Ray provided great advice when he came to quote and the cost was the best around. Very proffessional...these guys know what they are doing. Thankyou so very much...I am SO pleased! Just wanted to say what a pleasure it was to have a company do exactly what they said they were going to do. A very rare thing in this day and age. Keep up the great work. Thank you Helen very much for keeping me up to date with what was happening with the stages of the roof restoration. I'm extremely happy with the results and have already had lots of compliments on the completed work. It's been a pleasure to communicate with Helen as you were always friendly, helpful and professional. As were all the staff that I spoke to. Carl, Brad and Mitchell were amazing. I will have no hesitation in recommending Homestyle Roof Painters to anyone and have had a couple of people already ask me who did the job. You should all be proud of your customer service and workmanship. Thank you again. Very happy with our full roof restoration, I give home style roof painters 10 out of 10 for the whole process. Why re-roof when you can re-paint? Our painting services will give your home a new lease on life and increase curb appeal. We use specially designed, eco-friendly equipment to ensure your roof is as good as it was when it was first installed. Do you need a roof restoration? 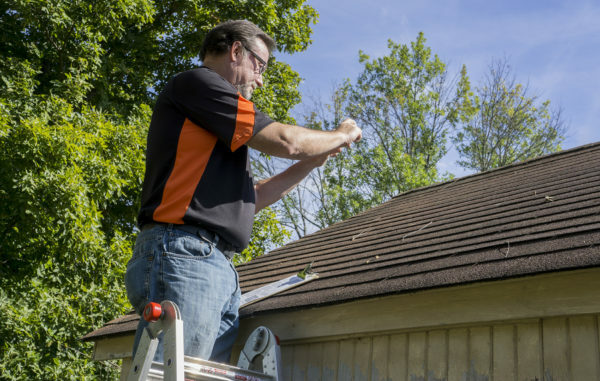 With over 35 years experience, the team at Homestyle Roof Painters have got you covered. Is your roof leaking? Give us a call and one of our technicians will come to your home, find the source of the problem and repair it. Our team can clean, remove or replace gutters so you can be certain that your gutters won’t accumulate water! 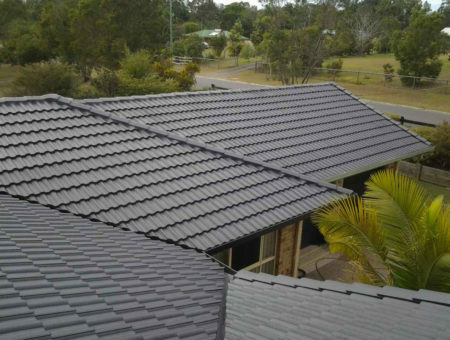 Are you having trouble deciding which roof colour to pick? 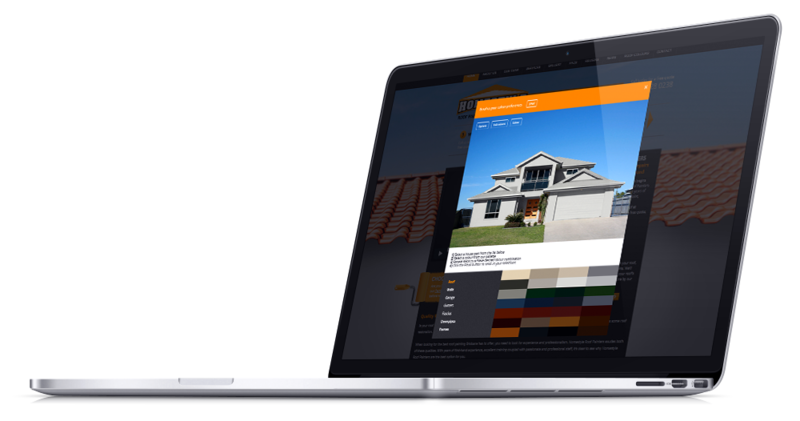 Try our Paint Previewer and see what your new roof will look like before we even start working. © 2019 - Terms & Conditions. Please note that the Paint Previewer is only an indication of colour. Finished results may vary.